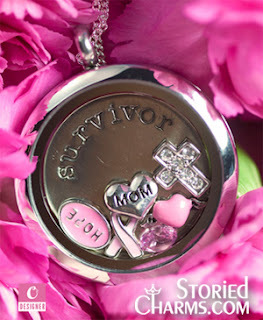 Miche Hope Clover Accent Pendant is made with Berr Beads created by women of the Kaberamaido Cooperative. Kaberamaido is home to thousands of orphaned children and single mothers—the result of civil war, disease and severe poverty. These colorful and eco-friendly beads, made from recycled magazines, are a key source of income for these resilient women. 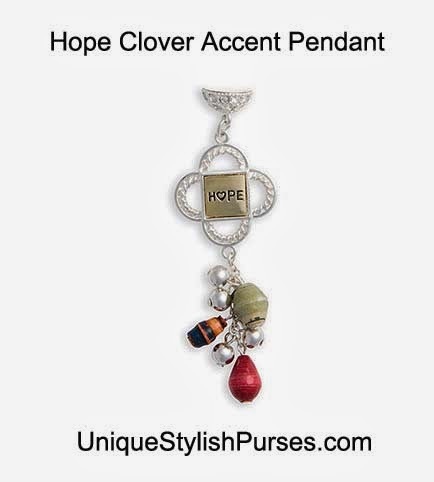 Clover features the word Miche in a silver setting and Hope in a gold setting on the reverse side.is 1”; Berr Bead color, size and shape vary; Mini silver beads are ¼”. Wear with a Single Pendant Base.